Looking for some eyewear with a little colour? ETNIA BARCELONA is an independent brand of eyewear out of Spain. They have created a wide range of colors, collections and designs for everyone who wants to express him or herself beyond the cannons imposed by momentary and passing fashion and trends. The collection is bright, loud, fun and surprisingly sophisticated. 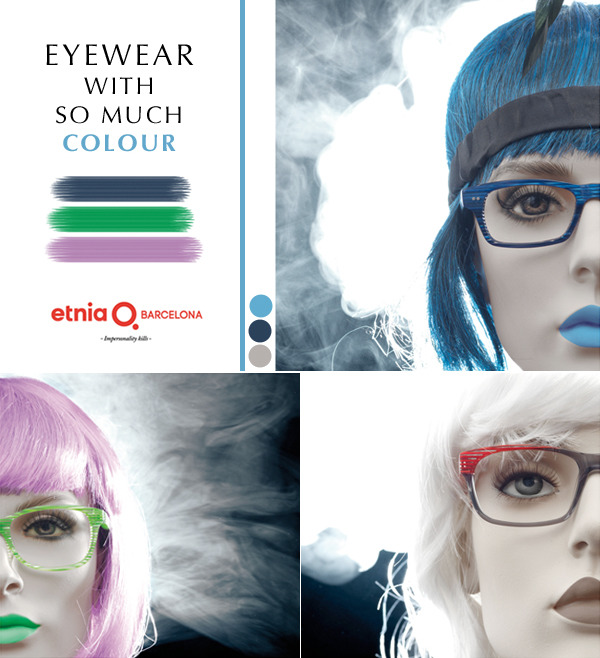 We have the ETNIA BARCELONA collection at eye-bar. It’s so beloved by our clients that the frames never stay behind our bars for long. An interesting side note is that every frame in the ETNIA BARCELONA collection is named after a cool city from around the world, including Edmonton (sorry Calgary, you didn’t make the cut). Peruse the whole collection online. Spot a frame you love; come buy your favourite pair at eye-bar.